Precious metals futures declined Friday. Silver’s loss on the day drove it lower for the week and for November while gold’s and palladium’s daily losses only trimmed their weekly and November gains. Gold for February delivery on Friday shed $4.40, or 0.4%, to settle at $1,226 an ounce on the Comex division of the New York Mercantile Exchange. "The gold market shall be closely looking ahead to further cues from the G20 summit this weekend," Reuters quoted Sugandha Sachdeva, vice president of metals, energy and currency research at Religare Broking Ltd.
"Any positive development will be negative for the dollar index, which has benefited as a safe haven this year whenever tensions were seen escalating. On the contrary, if the trade spat intensifies, the stage will be set for further decline in gold prices." Gold futures climbed 0.2% this week and gained 0.9% in November. Their second straight monthly increase followed six consecutive monthly losses. The yellow metal is 6.4% lower on the year to date. "Sixteen market professionals took part in the Wall Street survey. Eleven respondents, or 69%, predicted higher prices by next Friday. There was one vote, or 6%, for lower, while four respondents, or 25%, called for sideways. Meanwhile, 476 people responded to an online Main Street poll. A total of 269 respondents, or 57%, called for gold to rise. 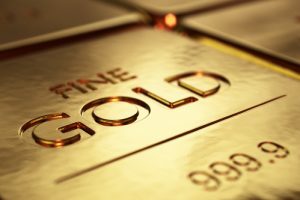 Another 122, or 26%, predicted gold would fall. The remaining 85 voters, or 18%, see a sideways market." Elsewhere Friday, silver for March delivery dropped 18.5 cents, or 1.3%, to settle at $14.217 an ounce. Silver futures edged down 0.2% this week and slipped 0.5% in November. They are 17.1% lower on the year so far. January platinum declined $21.10, or 2.6%, to $799.80 an ounce, registering respective weekly and monthly losses of 5.4% and 5.1%. Palladium for March delivery shed $6.80, or 0.6%, to $1,144.60 an ounce, posting respective weekly and monthly increases of 2.7% and 7.1%. On Nov. 16, palladium ended at $1,154.60 an ounce for an all-time record. The two are divided on the year so far with platinum 14.8% lower and palladium 7.9% higher. Gold fell $8.70, or 0.7%, to 1,217.55 an ounce. Silver declined 3 cents, or 0.2%, to $14.235 an ounce. Platinum lost $15, or 1.8%, to $805 an ounce. Palladium gained $31, or 2.6%, to $1,205 an ounce. In LBMA weekly results, prices for palladium surged 5.6% while others declined — 0.5% for gold, 0.1% for silver, and 3.9% for platinum. For the month, gold rose 0.2% and palladium jumped 11.4% while silver declined 0.7% and platinum lost 3.5%. American Eagle gold coins totaled 8,000 ounces in November, marking declines of 67.4% from 24,500 ounces in October and 33.3% from 12,000 ounces sold in November 2017. Year to date sales at 230,000 ounces are 11.4% lower than the 259,500 ounces sold during the same time in 2017. American Eagle silver coins reached 1,270,000 ounces, falling 11.2% from 1,430,000 ounces in October but jumping 229.9% from 385,000 ounces in November of last year. 2018 Silver Eagle sales at 14,835,000 ounces are 14.4% lower than the 17,323,500 sold through the first eleven months of last year. American Buffalo gold coins totaled 3,000 ounces, slipping 53.9% from 6,500 ounces in October but rising 50% from 2,000 ounces in November 2017. Year to date sales at 117,500 ounces are 37.4% higher than the 85,500 ounces moved during the same months in 2017. America the Beautiful Five Ounce Silver Bullion Coin sales surged by 80,000 coins, or 400,000 ounces. All gains came this week with the release of the coin celebrating Block Island National Wildlife Refuge in Rhode Island. The total is the most for a coin in the series since the first issue released in 2016. Five-ounce coin sales for the year so far at 1,112,500 ounces are 51% higher than the 737,000 ounces sold through the same months in 2017. American Eagle platinum coins reached 20,000 ounces in their February release month, matching annual sales in years 2016 and 2017. The U.S. Mint sold another 10,000 ounces in May for a total of 30,000 ounces. No platinum coins have sold since May as the U.S. Mint will not issue any more until 2019.